Austin has performed at many of the biggest rodeos in the world, including the Calgary Stampede, the Denver National Stock Show, the Fort Worth Stock Show, and the Houston Stock Show. 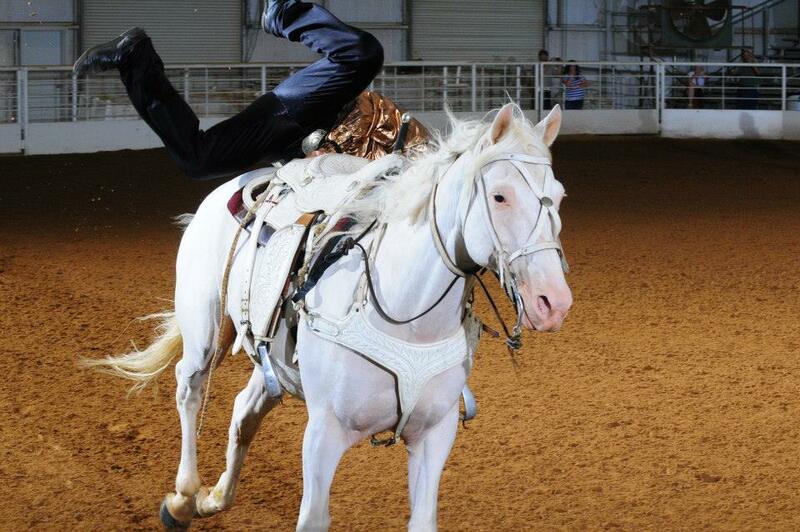 He has been a PRCA member since 1998, and In 2002 he was nominated for Dress Act of the Year. Austin and his crew have 5 unique and highly entertaining acts to offer. Take your pick from one, or several, and give your rodeo fans an experience they will never forget. 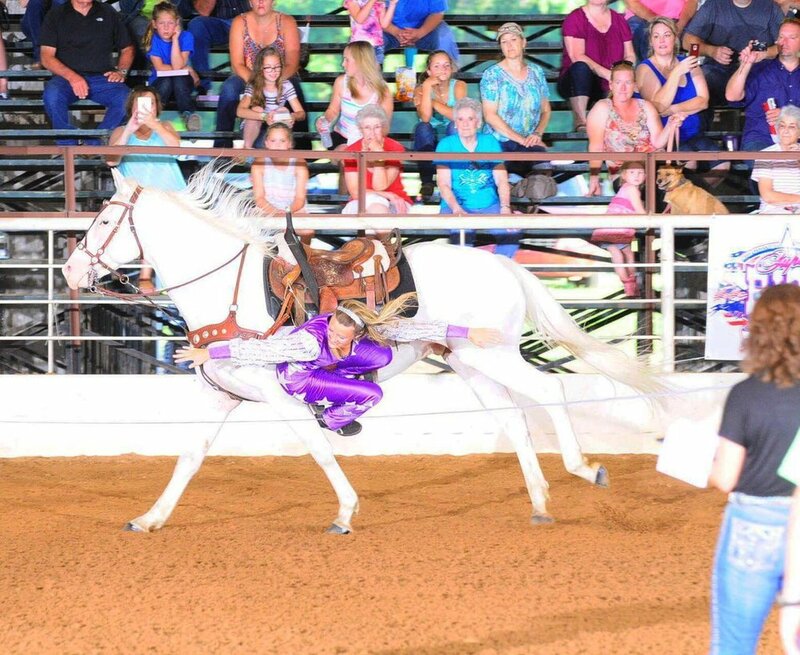 The Texas Trick Riders take pride in showmanship and professionalism, and will work with your committee and your stock contractor to meet your specific needs. Take a look at our specialty acts listed below. 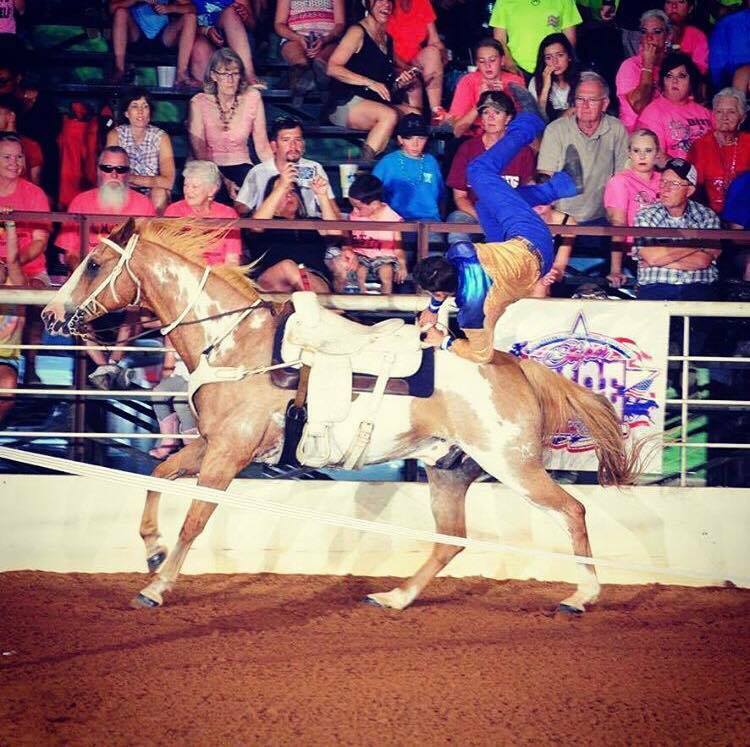 One of the original rodeo events, trick riding is always a crowd favorite. 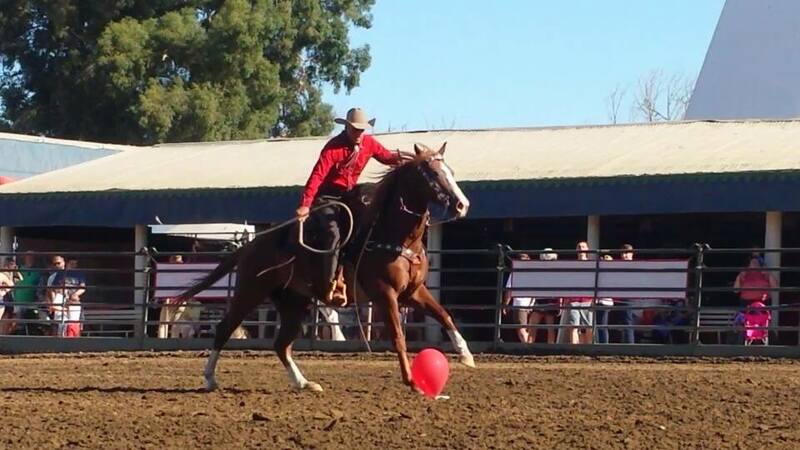 The riders perform stunts off galloping horses, hanging upside down, cartwheeling off and back on, or dragging alongside, all while interacting with the crowd. Austin was champion trick rider for 2015, and Garret took reserve champion for all of North America in 2016. 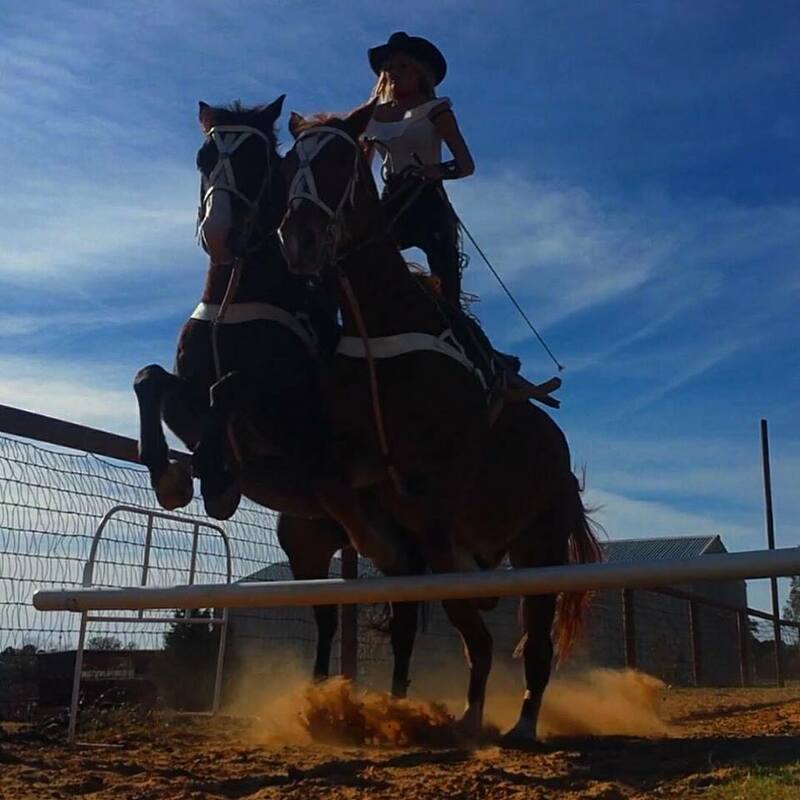 A centuries old style of riding, standing on not one, but two horses. 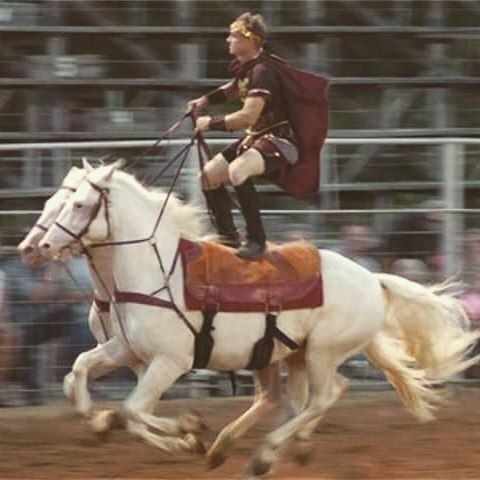 The rider gallops around the arena demostrating complete trust in thier team of horses. Standing on the backs demostrating great balance and coordination the rider jumps the horses, and even stradles flaming torches, galloping over top with one horse on each side. Austin Anderson's signature act. 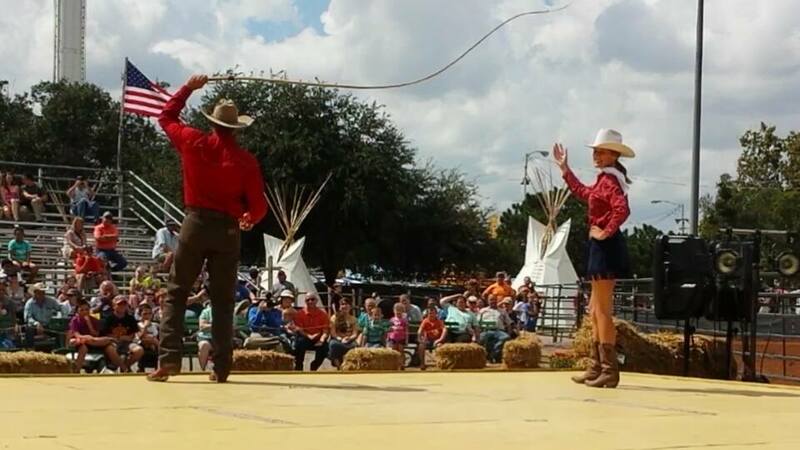 Austin demonstrates unrivaled precision with the bullwhip. From a galloping horse he pops targets off the ground. He cuts a straw from the lips of his beautiful cowgirl assistant. Expert accuracy, combined with a little humor, make this a crowd favorite. 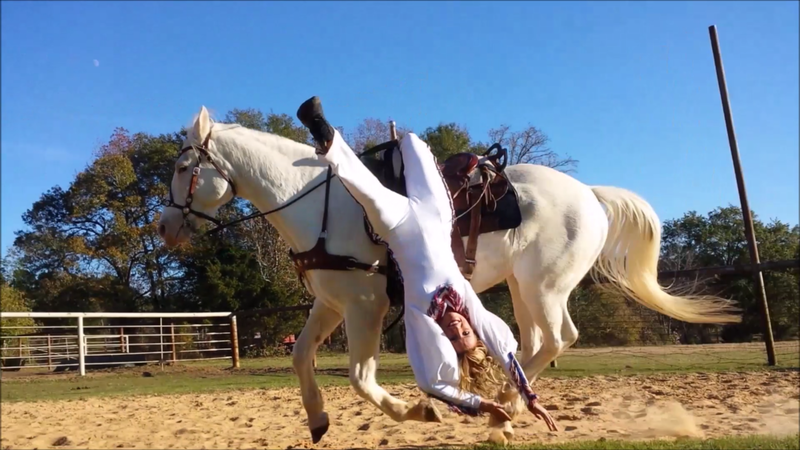 Austin and his horse Pearl (who was featured in the Fox series Sleepy Hollow), and Chelsea and her horse Brown, perform tricks straight out of the movies. 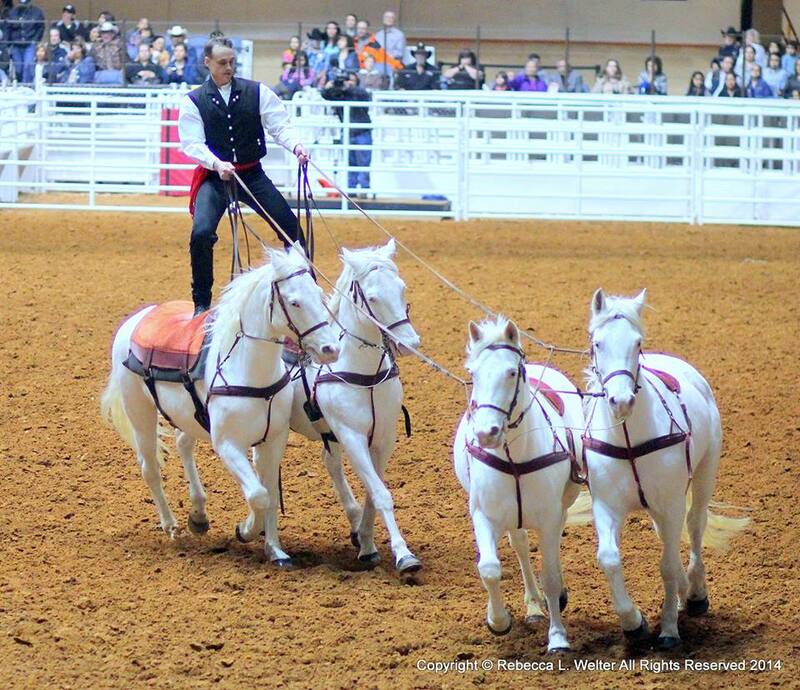 These highly skilled horses work "at liberty", meaning no reins, ropes, or saddle of any kind. They stick with their humans, following them about the arena and performing tricks such as laying down, sitting, bowing, and of course rearing. A true exhibition of trust and partnership between horse and human. An act the likes of which has not been seen since the days of Buffalo Bill and the legendary Annie Oakley. Precision marksmanship demonstrated shooting targets behind the back, off the back of a galloping horse, and even mounted shooting combined with trick riding. Fancy gun spinning rounds out the act.